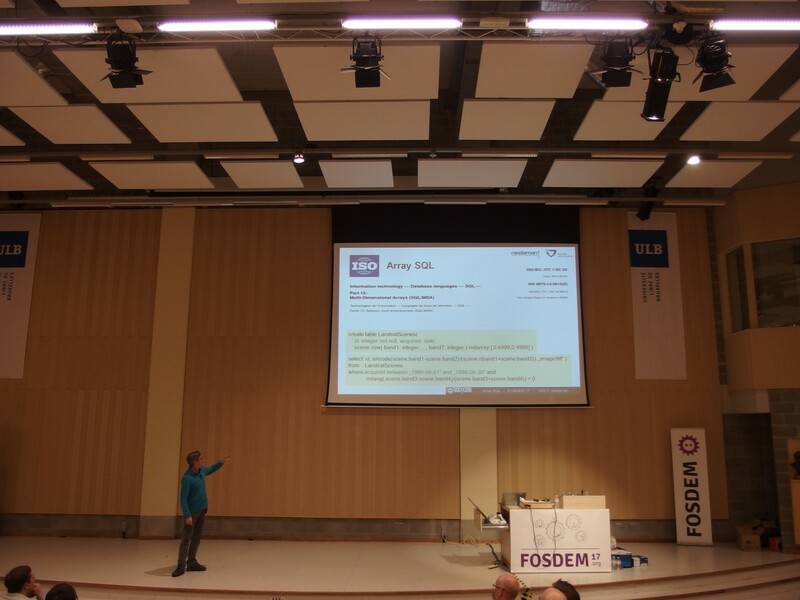 FOSDEM is an annual event for software developers, focused on open source software, happening in Bruxelles during the first weekend of February. 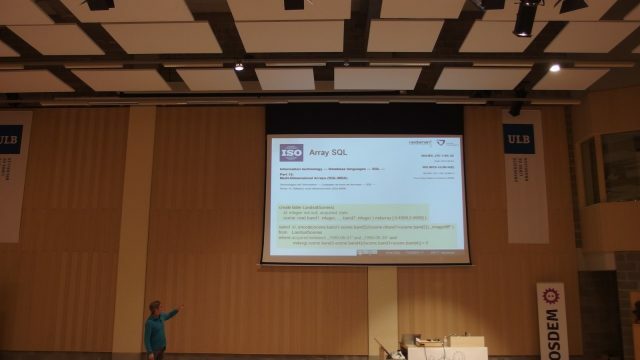 The event this year was the 5th FOSDEM conference I attended, starting from 2010. During the years I have seen it evolve: as the presentation focus moved along with the industry, some topics faded out and got replaced by newer things. Many of these newcomers did not actually gain traction over the years and also faded out at some point. One of the main transitions I have noticed was the one from abstract or too general things (e.g. discussions on the Linux Kernel or performance tricks in C/C++) towards end products and getting (soon to be) mature technologies applied in order to get clear outcomes.